Holland & Green John Green & Elisha Holland. John Green's father was a partner in the firm Allerton, Brough & Green. By 1861 they employed 146 people and by 1871 the number had increased to 258. 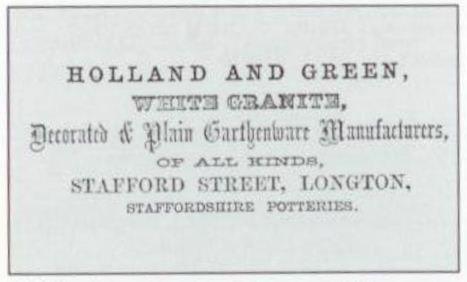 By 1881 both John Green and Elisha Holland had died and their executors dissolved the business. Green, Clarke & Clay Ann Green and John Bill Green (two of the executors) were partners of the subsequent business of Green, Clark & Clay. In 1882 a large portion of the buildings was taken down to make way for a row of shops. A part of the works was continued by Green, Clark & Clay. Green & Clay The partners were William Green and Alfred John Clay. A J Clay & Co The main partner was Alfred John Clay.